Looking back, there was great intelligence in my 20+ years of depression. There was actually grace inherent in life bringing me to my knees. (Sometimes life brings you to your knees so you can finally be present to your own knees!). There was healing there, right at the very core of my loss of interest in going to work or seeing friends, my abandonment of all hope for the future, my total disillusionment in external, second-hand meaning, my nausea at all things 'spiritual'. Even my lack of interest in getting out of bed held wonders. Through my depression, life was stripping me of all my illusions, all distractions, everything that was not real, forcing me to stay so, so close to myself, making me remember what remains after everything external is stripped away. Depression forced me to remember my own presence, essential and free, a miracle, bursting with life. My own presence, yes! - so simple, yet so overlooked, had always been here, closer than breathing, more undoubtable than doubt! My own simple presence - the presence of life itself - was the gift, the Source, what I had always longed for. The whole search had been inverted, since a 'self' can never find what it seeks as long as it seeks it. The false 'self' needed to fail in its search for presence to be revealed as the ground and essence of all things. The wave cannot find the ocean - it can only be it. Sometimes that's where you have to begin, at the very beginning. You have to get back to the origin of life, the place prior to even the "I Am", the raw Unnameable. Depression was the ultimate failure of the 'me', and its eventual surrender. It was a spiritual reboot, an awakening, for sure. I know this is not a common, or even popular view of depression: that it contains intelligence, and powerful medicine, so very needed in our weary world. So let's begin a new conversation. Honouring the medical model of depression, but going infinitely deeper. Never turning away from life's whispers. "When you touch one thing with deep awareness, you touch everything. The same is true of time. When you touch one moment with true awareness, you touch all moments." 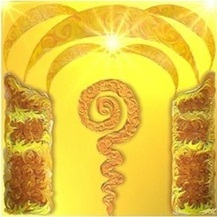 "Being able to receive information, healing, and love is a key to being able to transmute energy. We are all looking for love. However, the love that we are seeking is not love that comes from other humans, but divine love. We all suffer from initially attempting to receive this divine love from our parents. Although our bodies were created by our parents, our spirit was created by divine source. Because our parents are egoic in nature, they are not capable of connecting with us on the deep, essential level we crave, but instead project their needs, hopes and fears onto us. Therefore we never feel truly seen or loved by our own parents. We then proceed to evolve different unconscious dysfunctional behaviors in attempts to receive love. For example, we might act out in a relationship, or believe that we can find love by accumulating power, money, or material objects. These are all unhealthy and illusionary paths to receiving the love we truly desire." by Sandra Ingerman from Medicine for the Earth. "Don't wait for extraordinary opportunities. Seize common occasions and make them great"
11/2/2014 This version is absolutely beautiful to watch, listen, and to sing along. To discover that it is not enough. To discover that it was never really yours. To open up to all of life's possibilities. To discover a joy that has no opposite. To discover that you cannot fail. In these times of devastating ecological and social collapse, there are those of us who feel an urgency to attend to the world ‘before it’s too late.’ But the great paradox is that this very tendency to rush anxiously ahead is what got us into trouble in the first place. Let the way that you walk be slow. Let us listen to the pleas of our surrounding thirsts. Let us acknowledge the forgetting which drifted us onto this terrifying precipice. Let the grief of it all make its encounter through your remembering. And may beauty come alive then, under your feet. "There are certain things, often very little things, like the little peanut, the little piece of clay, the little flower that cause you to look WITHIN - and then it is that you see the soul of things." Thank you for sharing this powerful and gentle wisdom, mudra, so beautiful!